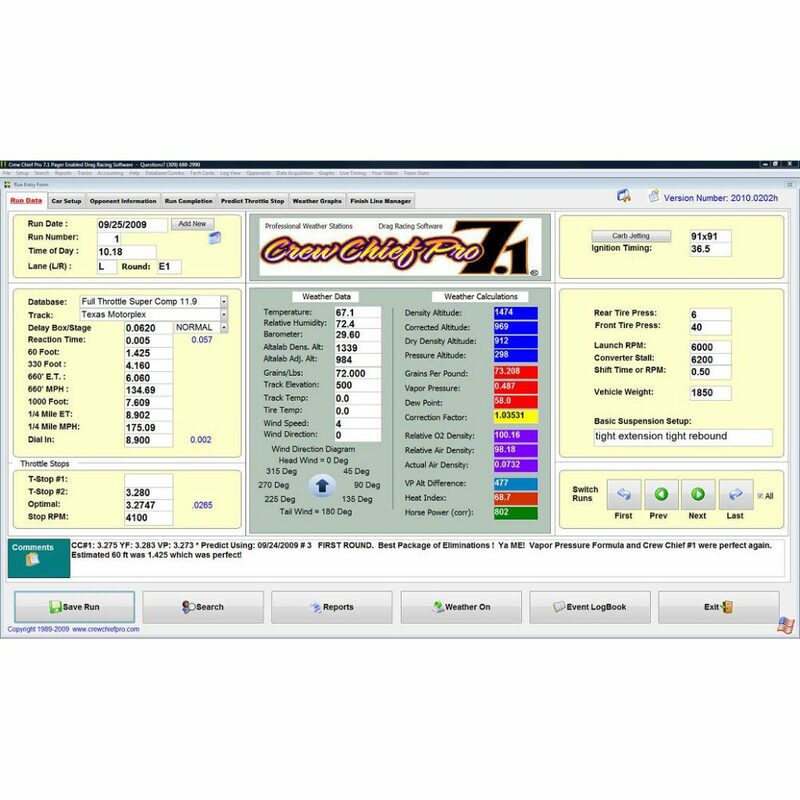 Crew Chief Pro Software allows you to accurately predict your ET or Throttle Stop settings based on the changes in weather. 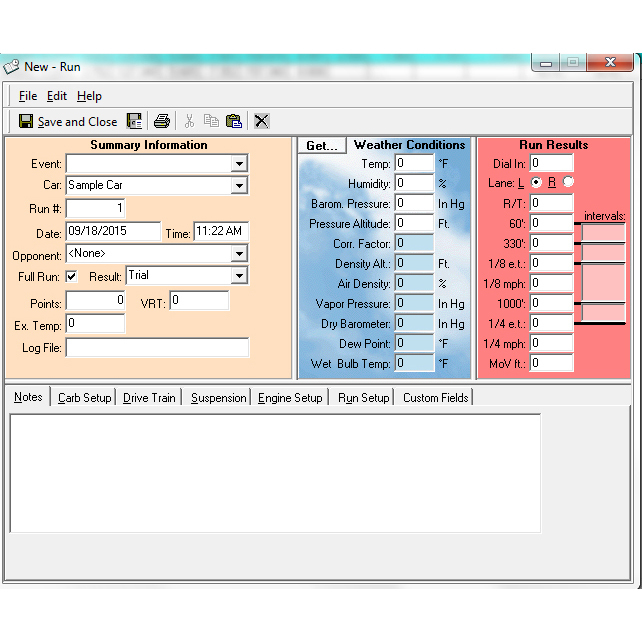 Works in conjunction with our RaceAir, RaceAir Pro, RaceAir Remote, and RaceAir Remote Pager Weather Station. 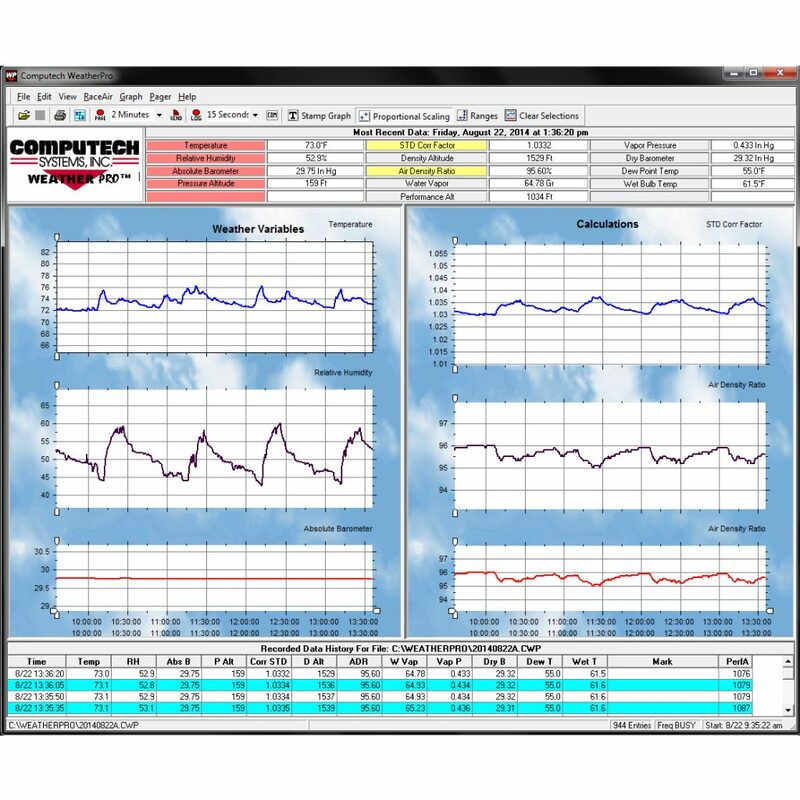 Crew Chief Pro Software allows you to accurately predict your ET or Throttle Stop settings based on the changes in weather. 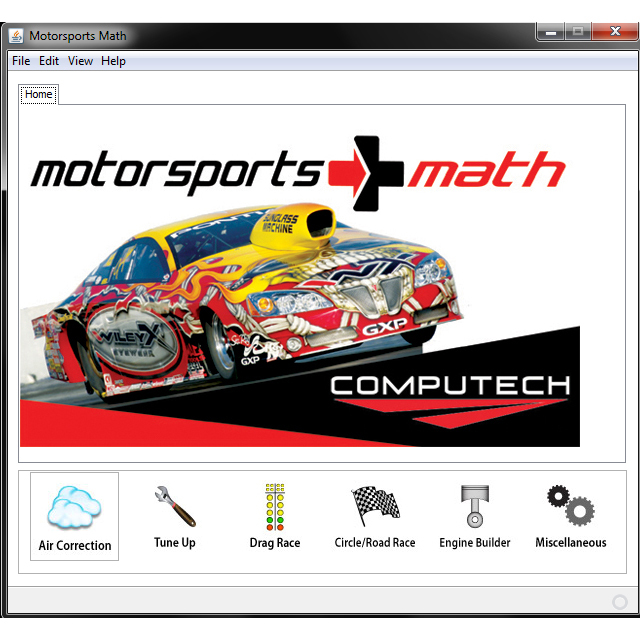 Works in conjunction with our RaceAir, RaceAir Pro, RaceAir Remote. Please note, Crew Chief PRO is required if you have the RaceAir Remote with Pager.